Today I started work on my pop up exhibition for East Wing Nine and the Courtauld Institute of the Arts. 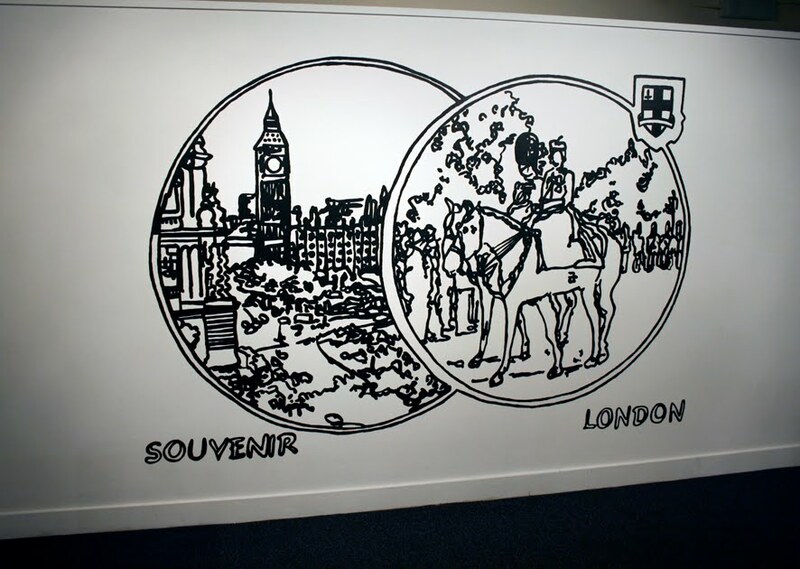 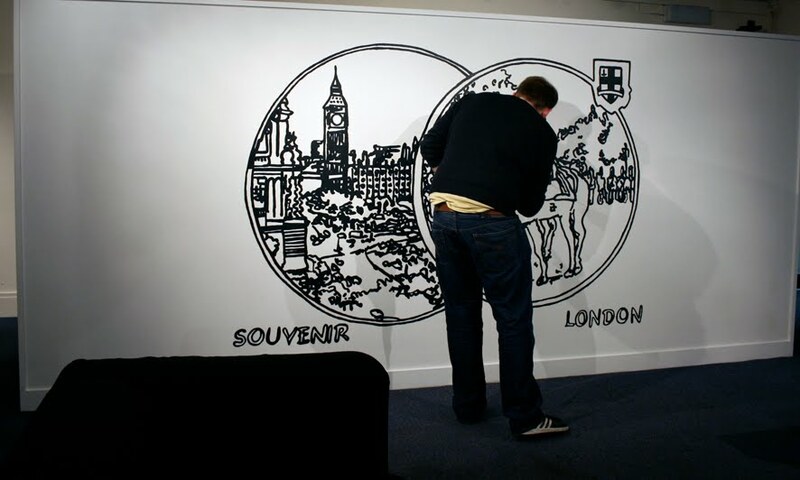 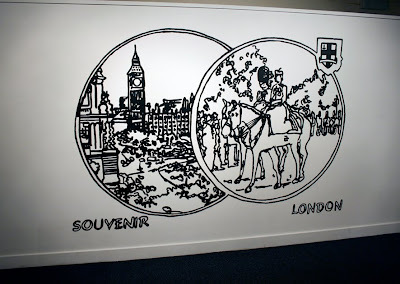 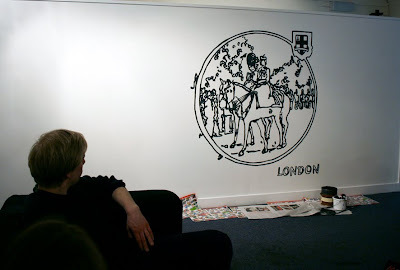 Here are some images of my Souvenir London painting mural taking shape. 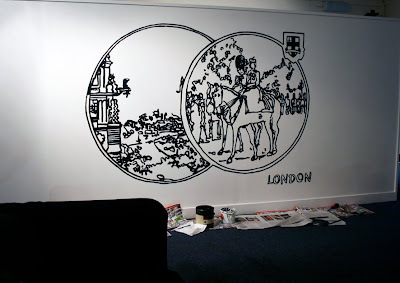 I will post more photographs tomorrow once the work is completed.